When it comes to legal document scanning, there can be no mishaps or mistakes. Having worked with a wide range of legal companies from a great variety of industries, we know how important it is that every single document must be properly accounted for, scanned with expert precision, and kept under the tightest security and confidentiality agreements. It is with this dedication to our clients and their materials that makes us one of the most highly regarded legal scanning companies in the UK. But why exactly do companies turn to Microform for legal document scanning? Having worked with solicitors, barristers, lawyers and a whole multitude of law firms, we don’t take chances when it comes to confidentiality or security. In fact, over 80 per cent of our documents are confidential, which is why every single member of staff at Microform is contractually obliged to sign confidentiality agreements so that all scanning processes are tightly controlled. Before materials even enter our premises however, we collect documents using our tracked and marked security vehicles that are specially driven by our own delivery drivers. 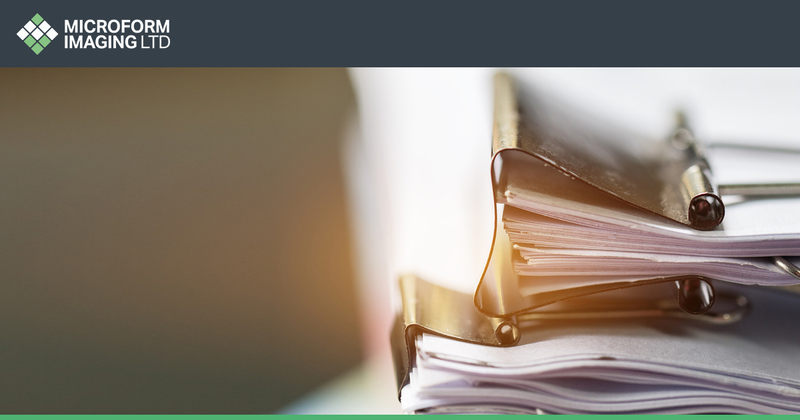 Once that documents have been handed over, they are then checked against a roster and signed off before being driven to Microform’s scanning facilities. Every single van is digitally tracked through GPS and every client is given the option to monitor the vehicles while in route to Microform. The facilities themselves enjoy the tightest possible security measures including state of the art alarm systems that alert the relevant authorities and our own staff members, many of whom reside nearby. There’s no doubt that the technological world moves at an astounding rate, which is why we keep up to date with everything that’s happening in the scanning industry. Within our warehouse we utilise cutting edge scanners from Kodak, IBML, Agfa, Minolta, and NextScan to ensure that the quality of our scans come second to none. What’s more, we also offer Optical Character Recognition (OCR) services so that electronic files are both fully searchable and editable. Learn more about OCR scanning and what it can do for your business. From wills to mortgages, and deeds to case files, no matter what kind of document you are scanning, we guarantee that you’ll see increased levels in both efficiency and company security. Even some of the smallest law firms that we have worked with have reported that they have been able to cut hundreds of hours per year from using digital files. Furthermore, for firms that opt to use our state of the art document management systems, we can ensure industry leading security features that keeps all data, documents, and information safe from accidents and digital attacks. Previous Article How can document scanning support your business in becoming GDPR compliant?